As a part of the recent setting up of a new Foundation for the arts in Lichfield, we are inviting artists, those involved in the arts in the broader sense and residents alike to join those involved in setting up the Foundation in an informal open discussion forum on the 30th October. On the 30th October at the Guildhall members of the Foundation will be holding an informal open forum to enter into discussios about the future of the arts in Lichfield. This will be an initial opportunity to discuss where the Foundation will invest its energies over the coming years as well what and or how individuals can become involved or indeed would like the foundation to support you. Subjects likely to emerge with be the requirements of space to display art in the City and the development of the City into a major cultural centre. This will be an informal discussion between 1.30-3pm on Saturday the 30th October at the Guildhall in Lichfield. 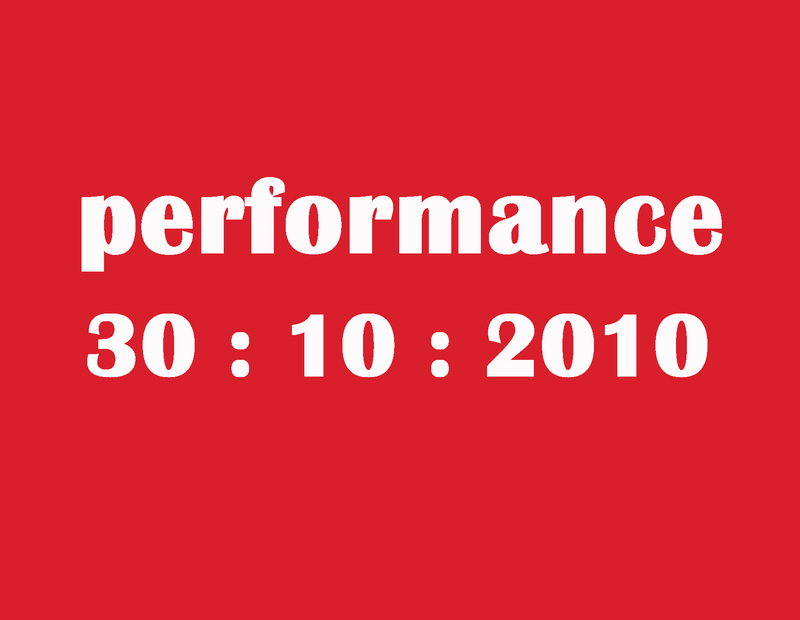 The discussion forum is a part of the wider activities on the day called – Performance Art Day, which will see open public art workshops and performances in the Guildhall and around the city and a spectacular light show on the Cathedral. The Big Draw returns to our streets this Autumn as part of a national campaign to provide access to opportunities to get involved in different approaches to art. The events will take place on the 9th October in Lichfield and the 23rd October in Burntwood. The project which is being jointly organized by Peter Walker of 52 Weeks of art and Celia Houghton of Lichfield arts development will see new and exciting workshop projects provided for free on both dates. In the past years Celia has won a number of National Awards for her Big Draw projects, which have become a big part of Lichfield’s annual arts programme. On the 9th October in Lichfield across the city near Marks and Spencers there will be 3 other artists including Celia running creative drawing activities with the general public. Celia will be encouraging passers-by to draw without using their hands or mouths called ‘Hands Free’. Artist Henrietta Ellis is creating a monopoly game based on Lichfield and Clair Rushton will be drawing with sticky tape. All are fun and engaging participatory projects and great fun to be involved in. The same artists will be featured at the 23rd October event at Sankeys Corner in Burntwood. 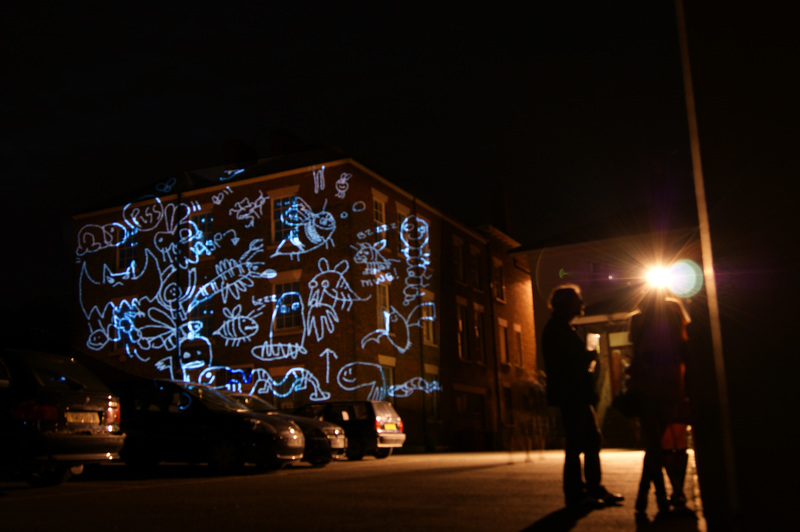 Also on the 9th Lichfield will feature Scribble in the Dark, a nationally acclaimed project by artist Andy McKeown (one of the artists who created the Johnson 300 Son et Lumiere). During the day passers by will be able to draw with light in a special darkened tent on Market Street, near Market Square, and then after dusk the project team will wonder around the city – starting at market square drawing with light on buildings – and you can join in – for free. Peter Walker “The arts in Lichfield are thriving and more people are discovering a forgotten love for the arts or a hidden skill. The Big Draw is a great way of getting involved and having fun with art – as that’s what its all about”. The projects is one of a number of art based workshops projects and exhibitions in the city. On the 30th October the Guildhall will see a performance art workshop day – with the opportunity to discuss with Lichfield’s New Art Foundation - the way forward for the arts in the City. Tesco PLC and Community Development at Lichfield District Council have jointly funded the Big Draw projects. An Arts Foundation for Lichfield and surrounding district held its inaugural meeting at The Garrick Theatre recently. 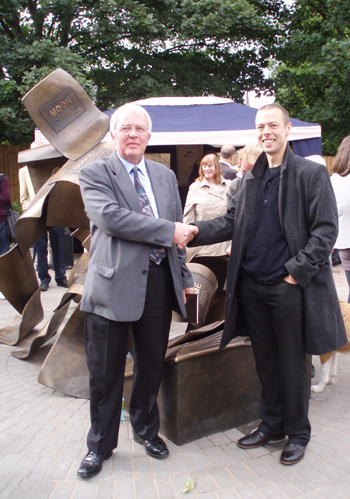 Those voted onto the executive committee include Peter Walker, the well known local sculptor, Celia Houghton, local Arts Development Officer, and Cllr Bernard Derrick, Chairman of the Lichfield District Arts Partnership and Fellow of the Royal Society of Arts. A number of other local artists and art aficionados have also joined the Foundation. These include Jennie Arthur, Alison Churchill of South Staffordshire University, local businessman Robert Carr, Adrian Jackson who is Artistic Director of the Garrick Theatre, Barbara Haycock, David Wallington, Composer David Harper and Mary Baker. 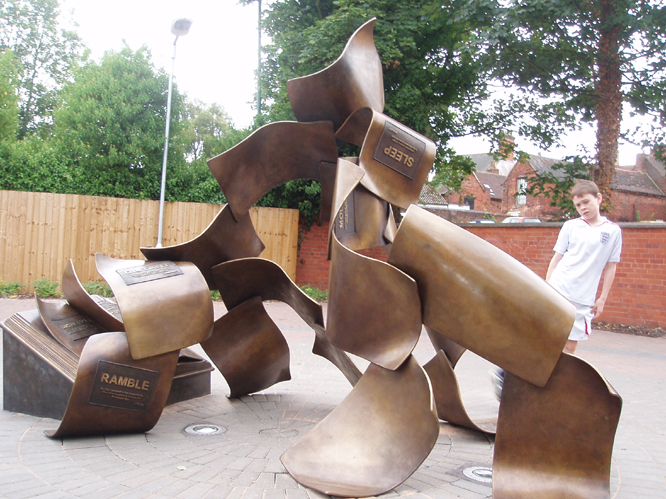 Peter Walker, who created the new sculpture at Lichfield Tesco, led the Son et Lumiere at last year's Samuel Johnson birthday celebrations and is now working on a new sculpture to celebrate Erasmus Darwin, explained more: "The aim of the foundation is to enhance the district’s cultural life. The arts is so important to our local and national economies, but often suffers from a lack of infrastructure and support, which means it doesn't always make the impact it could to local people's lives. The foundation will aim to help change this locally, so more and more people can get involved. The new Foundation will develop a local infrastructure and actively encourage local people and artists to get involved in all art forms which the foundation hopes will help to elevate Lichfield District to become one of the leading arts destinations in the country. Key strategic aims are being put in place which will be revealed during the Foundation’s development”. The Foundation will attract an increase of innovative art to the area and represent local culture on the national and international stages which will enhance the local economy and tourism. 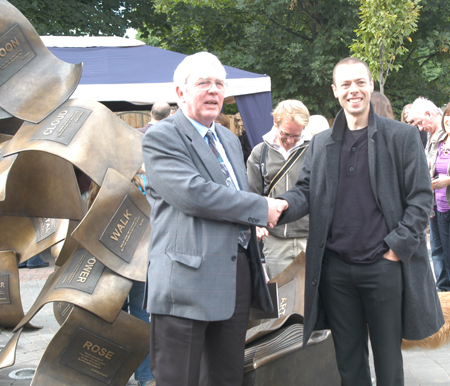 Lichfield's first new public sculpture for over 50 years was unveiled on Saturday 18th September. 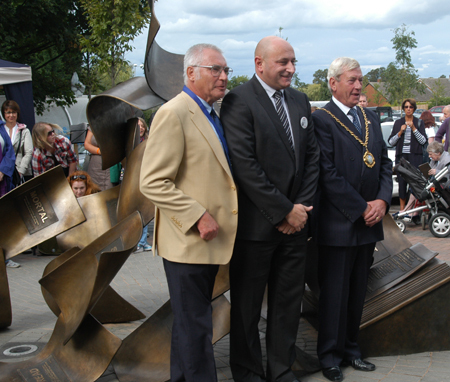 The ceremony saw the Mayor, Cllr Spruce and Peter Barrett, Chairman of the Samuel Johnson Society, offically unveil the artwork. 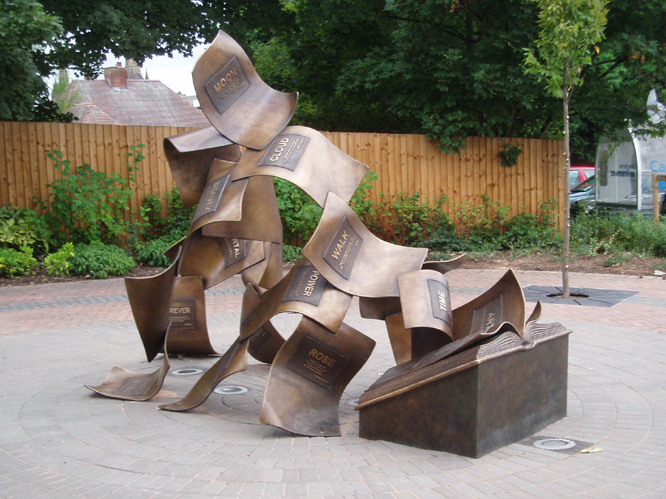 Entitled the Formation of Poetry, and made by artist Peter Walker is a 3m long bronze artwork, designed as a tribute to the legacy of Dr Johnson.